Uncaged Ergonomics Wobble Stool Air (Black) Wobble Stool air - a fun, active sitting chair with an unstable cushion that helps keep your core engaged and encourages movement while sitting. The simple, lightweight design conveniently rolls into place and is easy to sit on. We custom-designed the seat to let you sit still OR easily engage your core for an active sitting experience! ENGAGE YOUR CORE: sit actively with a unique, unstable seat design that engages your core ROLLS: 5 wheels make it easy to move Wobble Stool air in place ADJUSTABLE HEIGHT: from 19-25" How It Works: Simple assembly - no tools required :-) Rolls into place Unstable seat cushion engages your core to help you sit actively Features: Seat Diameter: 15. 25" Product Weight: 10 lbs Wobble Stool air is a fun active sitting stool that easily rolls into place. It's easy to sit on and the unique unstable cushion engages your core. 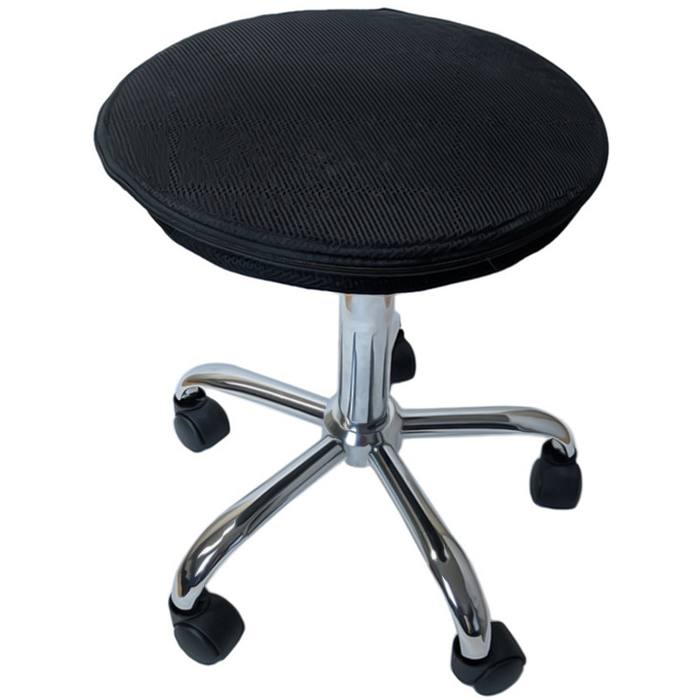 Sit actively with this balance stool elegant enough for the office and fun enough just about anywhere. Specifications Seat Diameter: 15. 25" Weight: 12lbs Max Load: 250 lbs Height Range: 19-25. 5" Base Diameter: 18"